Evertz is set to showcasing its comprehensive range of UHD and HDR solutions featuring both SDI and IP based technologies at NAB 2017. With a large global install base, Evertz offers one of the industry’s most comprehensive Ultra High Definition (UHD) and High Dynamic Range (HDR) solution sets. 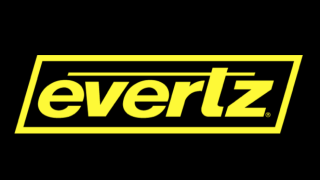 For applications from acquisition to production to playout, Evertz offers complete solutions in Quad-link 3G-SDI, 12G-SDI, and IP, enabling UHD solutions for both new and existing facilities. Similar to UHD, HDR is quickly becoming a critical requirement for broadcasters as it provides a greater immersive experience for viewers. Among the highlights this year’s NAB show will be 12G-SDI-based routers, conversion products, and multiviewers, as well as more details on Evertz’s 25GbE portfolio for uncompressed UHD over IP. Also at NAB 2017, Evertz will highlight the new standard dynamic range (SDR)-to-HDR conversion functionality on its 7814UDX-4K product family of UHD/3G/HD Up/Down/Cross Converters. The 7814UDX-4K series has been an important tool in enabling UHD production. The 7814UDX-4K provides operational benefits with its ability to convert between different SDR/HDR formats including SDR, HLG, SMPTE-2084, and S.Log3, as well as color space conversions including BT.709, BT.2020, and S.Gamut3. By utilizing advanced mathematical algorithms, Evertz enables the 7814UDX-4K to leverage its existing color correction and video processing capabilities in concert with the HDR conversion capabilities, increasing its overall functionality. Evertz will be showcasing the latest additions to its EQX routing line, with its flexible I/O capabilities, which support Quad-link 3G SDI, 12G SDI, and uncompressed IP, making it well suited for UHD/HDR routing applications. In addition Evertz will showcase its new 3067VIP series of SDI/10GbE multiviewers. For maximum flexibility, the 3067VIP series support Quad-link 3G-SDI UHD input signals with the ability to output UHD/60Hz over HDMI, Quad-link 3G-SDI, and 10GbE streaming interfaces. As part of the 3067VIP series of multiviewers, Evertz will demonstrate its new 12G-SDI multiviewer the 3067VIP-12G-16x2 with support for HDR signal monitoring.